Does anyone out there have a picture of Blackhill House? This stood roughly at the junction of Deveron Street (where I was born) and Dinart Street in Riddrie. I am fairly sure that the 'Big Field' behind the tenements which still has large beech trees in it was the front garden. I think it was pulled down about 1910/15 to make way for the tenements in this area. You could try the Virtual Mitchell (see the links page) or a book in the Mitchell called something like the Old Country Houses of the Glasgow Gentry. Google not producing anything? 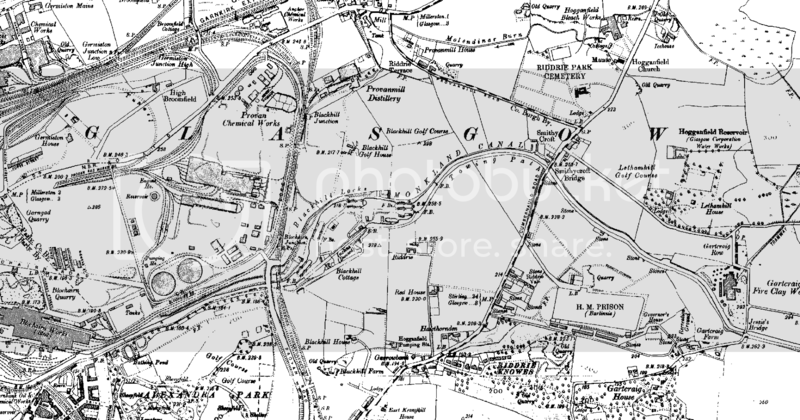 You can get a picture of Cumbernauld Road and the gate house to Blackhill House in the book Old Riddrie, Stepps and Millerston (available in all bookshops). Has other local pics also but none of the actual house. Could you let me know where you get your maps from. Thanks to everyone who has replied. I'm really grateful for all the suggestions. Bit of background: I was born in Deveron Street and spent the first thirty years of my life running around Riddrie. I was a librarian with Glasgow District Libraries for twenty years and spent quite a bit of them mooching through the Glasgow Room materials. I helped John Hood with background for his 'Old Riddrie' book for Stenlake and in fact it was me who persuaded him to extend it to Riddrie. 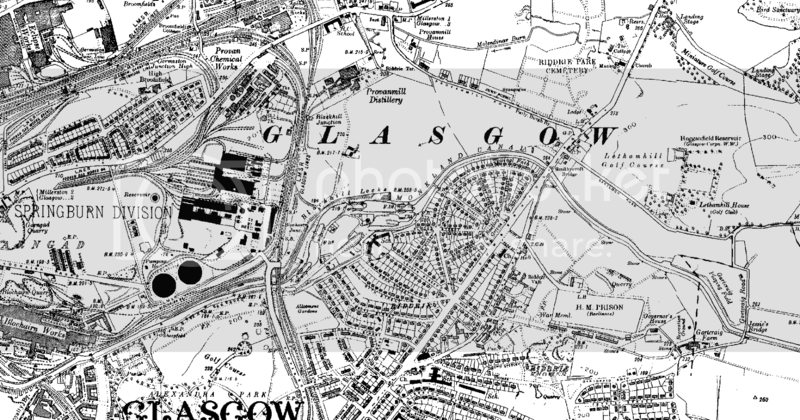 I came across the Hidden Glasgow site by accident and have been fascinated by some of the threads. More power to all your elbows and maybe somebody'll come up with something. Had a look at your maps Crusty as I used to live in this area. Took the 38 bus up to the Fort recently and passed by Hoggie on Gartloch Road. I have passed that way a million times but had a good look at the "abandoned" gate (just opposite the on ramp for the M8 Edinburgh)which looks like it would have led up to the Lethamhill Lodge. The old gate posts are still there and you can see the driveway. Great the way your imagination can run riot. 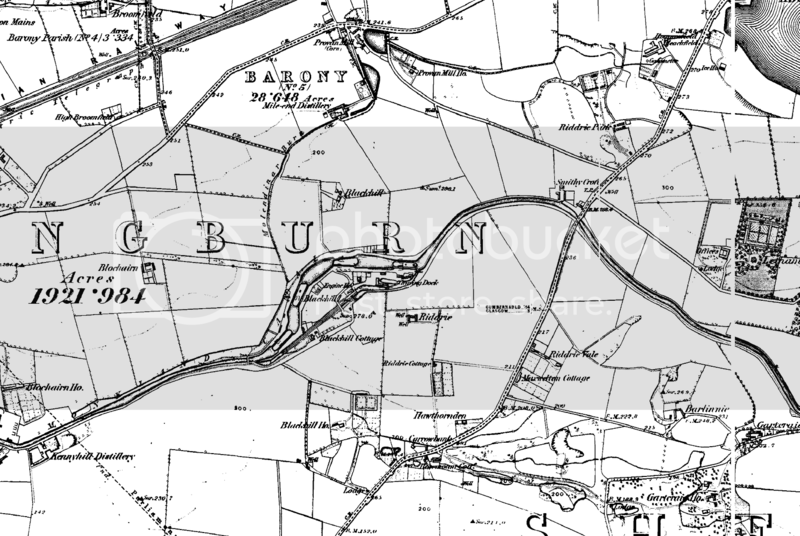 If you nudge the map from 1932 up a bit from riddrie cemetary does it mention anything about rhubarb? Bit of a but in Seamy. I have read and heard of the rubarb fields being on the Royston Road next to Hogganfield House. Those the ones? Anyway the big rhubarb field was across the road from hogganfield loch and behind where a milk distributor site was located next door to where B&Q is. Anyone growing up in the east end used to raid it regularly. I just used to see it passing on the bus to Cumbernauld. No mention of rhubabrb I'm afraid Seamey, I know (of) the ones you mean though, my uncles used to steal it when they were growing up in Garthamlock in the late 1950s and 1960's.